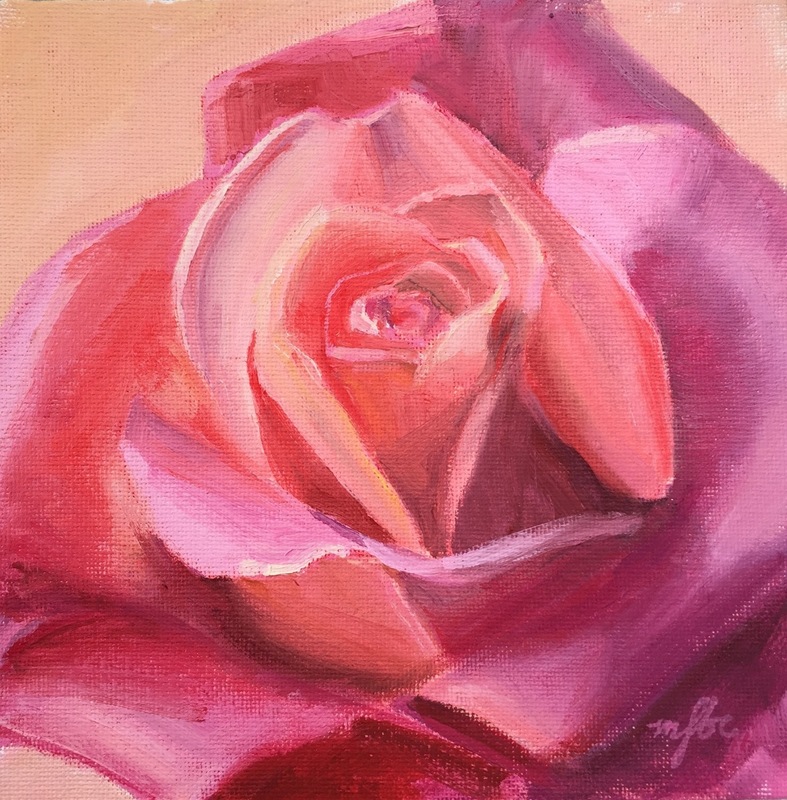 Original 6x6 oil painting of a single pink rose. It is in itself a play on warm and cool red hues to make it sweet! The piece is created on a canvas panel and is without frame.